A letting agent, based in North London, that owns and manages two properties in Hatfield has been ordered to pay £42,596 in fines and full costs of £10,626 to Welwyn Hatfield Borough Council, plus a victim surcharge of £170. Lettings of London Ltd were handed this fine after pleading guilty to 18 offences relating to two houses in multiple occupation (HMO). Council officers carried out an initial inspection of the properties, 25 and 32 Goldings crescent in Hatfield, in 2018, and found that the fire safety equipment in both houses had not been maintained in good working order, as well as other deficiencies. The defendant was charged with 18 offences relating to both properties, including there being no working fire alarms or fire blankets, the self-closers on fire doors not working, emergency lighting not working, and loose coping stones and rusted metal handrails on an external stair case outside one of the properties. PAL aims to work with landlords to ensure their properties are meeting legal requirements, we also offer a free legal helpline for all members of the scheme. Tenants who are looking for good quality accommodation should use the PAL website’s search portal in order to find accredited properties. Welwyn Hatfield Council has two upcoming workshops that may be of interest to landlords and letting agents in the borough. The first is ‘Maximising Your People & Your Business’ a morning course that will cover how to strategize the development of your business. Following on from this is a ‘Managing Stress Workshop’ which will go into detail on the ways you can reduce stress in the workplace. Action fraud has reported several cases of fraudsters posing as landlords in order to collect a deposit for properties they do not manage. The fake landlords have been claiming to own properties offered for rent online. Prior to a viewing the suspects request that the interested individuals pay a deposit and sometimes a month’s rent upfront, implying that this money will be put into the Tenancy Deposit Scheme, and is therefore protected under government legislation. Hertfordshire Constabulary has urged prospective tenants to always ensure you view the property with an agent or landlord before agreeing to rent a property, don’t be pressured into making a decision and to remember payments via bank transfer offer you no protection. All PAL landlords meet the requirements for providing good standard rental accommodation and the scheme is endorsed by Hertfordshire Constabulary. A company that owns and manages two properties in Hatfield has been ordered to pay nearly £50,000, after pleading guilty to 13 offences relating to a HMO. St Albans Magistrates’ Court ordered Assim Estates Ltd, registered in Essex, to pay £45,500 in fines and full costs of £4,471 to Welwyn Hatfield Borough Council and a victim surcharge of £120. Council officers carried out an initial inspection of the property, 1 Redhall Drive in Hatfield, in 2017, and found it to be occupied as an HMO. The council carried out further inspections in May and July 2018, where it was found that the property was still being used as an HMO and no work had been carried out to improve the fire safety or condition of the property. The defendant was charged with 13 offences, including: no working fire detection to halls, stairs and landing, no interlinked fire detection in the house, no fire blanket, the hallway areas having no lighting, and various communal areas and bedroom windows missing handles. Welwyn Hatfield Council executive member for housing and community Nick Pace said: “This is one of the largest fines we have seen for these types of offences, indicating the seriousness of this case. The PAL scheme recognises landlords who meet their legal requirements and provides a free legal helpline for all members. A Hatfield landlord has been ordered to pay more than £17,000 in fines and costs after pleading guilty at St Albans Magistrates’ Court to 23 offences relating to a house in multiple occupation (HMO) that he owns and manages. Bobby Fasogbon, 46, of Gaydon Lane, Colindale, London was ordered to pay £12,000 fines, a victim surcharge of £120 and Welwyn Hatfield Borough Council was awarded full costs of £5199.32. The charges relate to a property at 9 Chipmunk Chase in Hatfield and included failure to maintain the property in a safe and satisfactory condition, particularly not complying with fire safety regulations, and failure to supply documents to assist the investigation. Councillor Mandy Perkins, Executive Member for Planning, Housing and Community said: “Just last week, we were successful in prosecuting two Managing Agents for similar offences and this case is another step forward in a significant series of investigations by our housing team. “We hope this set of prosecutions will serve as another stark warning to any landlord who compromises residents’ safety. The Partnership Accreditation for Landlords (PAL) scheme recognises landlords and agents who meet their legal obligations but now also includes a ‘gold’ standard for those who go above and beyond to provide quality homes. This new standard was launched at an event on 10 June at the Mercure Hatfield Oak Hotel. 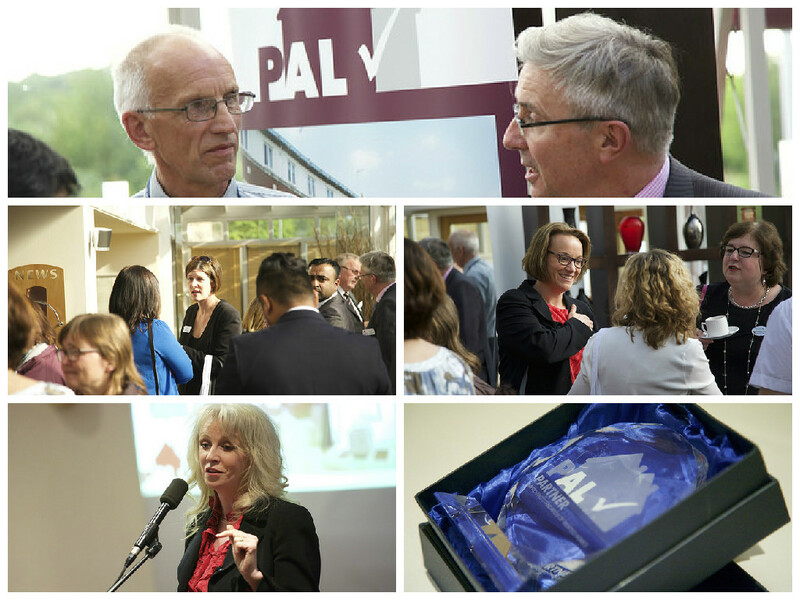 The PAL scheme marked its relaunch with a networking dinner at the Mercure Hatfield Oak Hotel on Wednesday 10th June. Seven Letting Agents were officially awarded the PAL ‘Partner’ status. – a title given to Letting or Managing Agents who have been audited and endorsed by PAL. PAL previously just recognised landlords and agents who meet their legal obligations, but now includes a standard for those who go above and beyond to provide quality homes. The accreditation scheme has benefits for both tenants and landlords and has grown in popularity since its launch three years ago. A survey from tenant insurance provider Endsleigh reveals that 34% of landlords have given a welcome or farewell gift to a tenant and 30% of tenants have received an act of kindness. The survey also found 54% of tenants received help with DIY and 29% a bottle of wine as a result. 72% of tenants said such acts positively changed their perception of their landlord. A positive relationship seems to have an impact on the length of tenancy too with 70% of tenants who receive an act of kindness staying in their property for 24 months or more, compared to just 53% who didn’t receive an act of kindness. The survey also investigated what the ideal relationship should be between the two parties. Half of the landlords surveyed said that a professional relationship with a tenant is preferable and 49% of tenants agreed. More than a third, 36%, of tenants, wanted a friendly relationship with their landlord compared with just 21% of landlords. The PAL Code of Practice gives a clear outline of good and professional landlord and agent conduct. We advise that the easiest and most stress free lettings come when there’s a good working relationship between the landlord and the tenant.